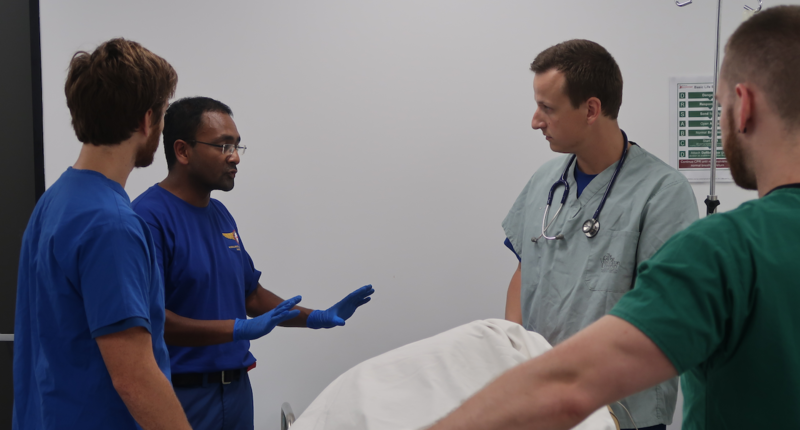 Drs Natalie May, Geoff Healy, and Cliff Reid discuss missions in which the prehospital medical team is diverted to a hospital because their patient has been moved from scene to a (non-major) hospital. While one might expect these missions to be easier from the point of view of having the hospital environment and resources to hand, they can in fact be more complicated and take longer than typical prehospital (primary) and interhospital (secondary) missions. Crowd control – large number of good people keen to do things, can paradoxically make interventions much longer to perform compared with a small well rehearsed RT working to mutually understood operating procedures. Nat, Geoff and Cliff discuss these challenges and how to tackle them, including how to introduce yourself, what language to use, how to integrate yourself into the team and offer support and if necessary leadership, the importance of a collaborative approach, and the critical contribution of the RT paramedic in making all this happen smoothly. This entry was posted in General PH&RM, Podcasts and tagged human factors, leadership. Bookmark the permalink.